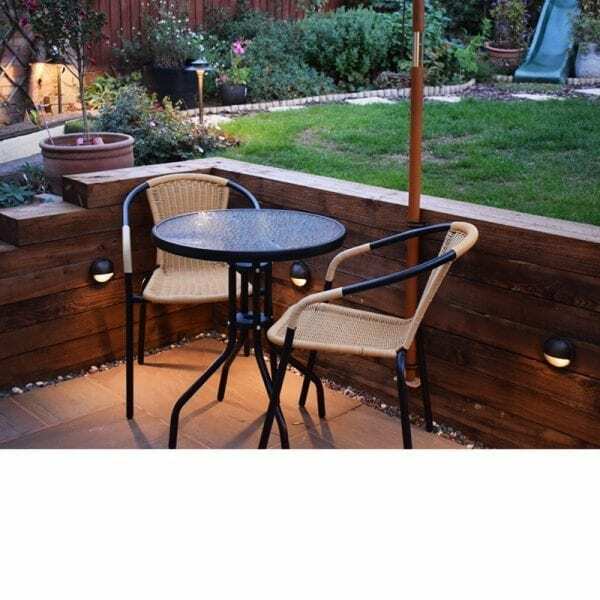 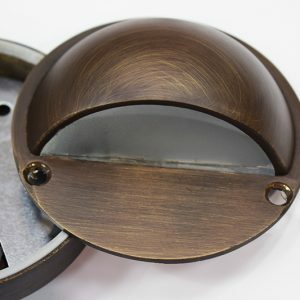 This solid brass Eyelite Steplight with bronze finish is a smart 12v surface mount garden light ideal for lighting stepped areas, either mounted on walls next to steps, or on the steps themselves. 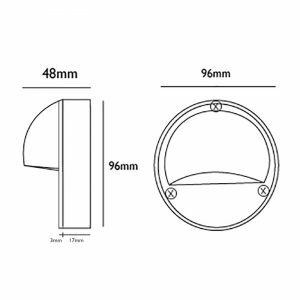 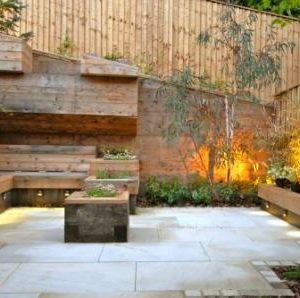 The ‘eye lid’ design results in all light shining downwards, without glare, which makes it perfect for the function of lighting steps. The Eyelite forms part of Lumena’s VERSA Plug & Play Range. 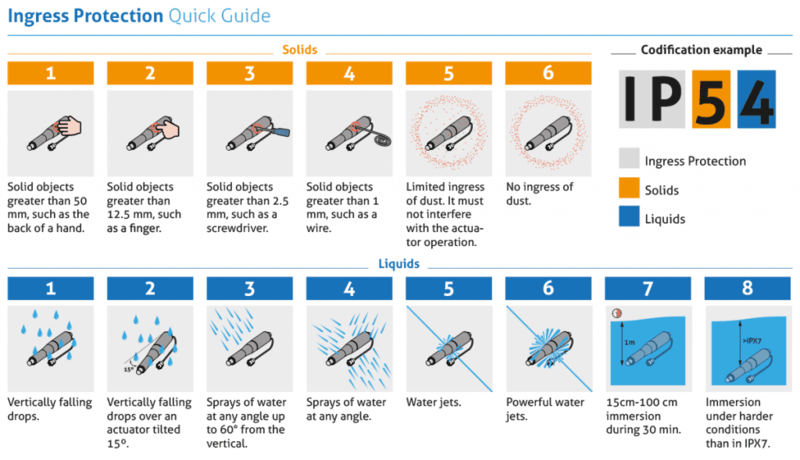 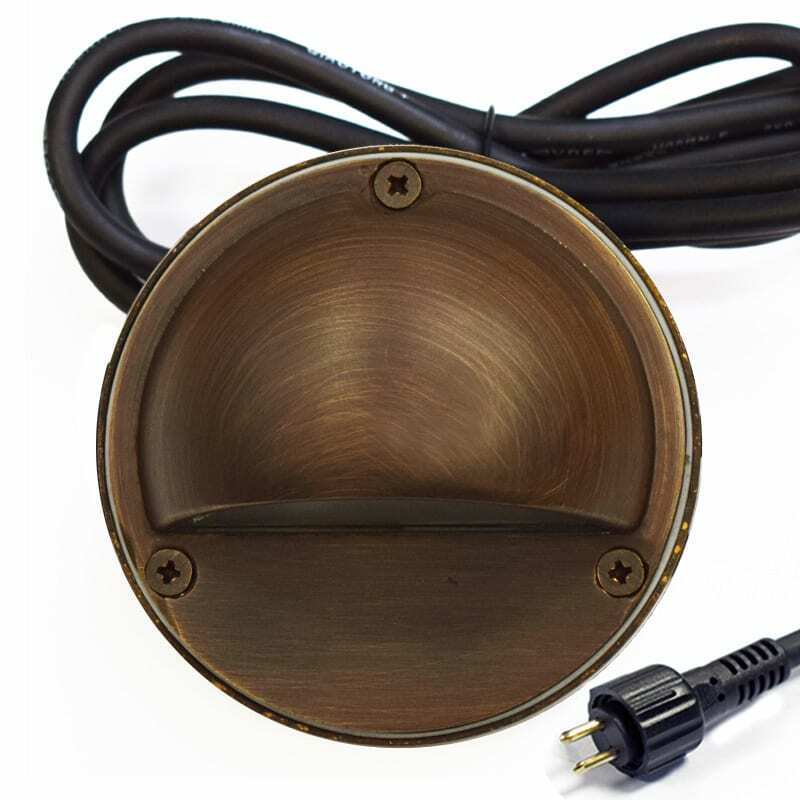 For ease of installation, a 2 pin adaptor plugs directly into a Lumena Transformer, or any Versa connectors, meaning no wiring is required. 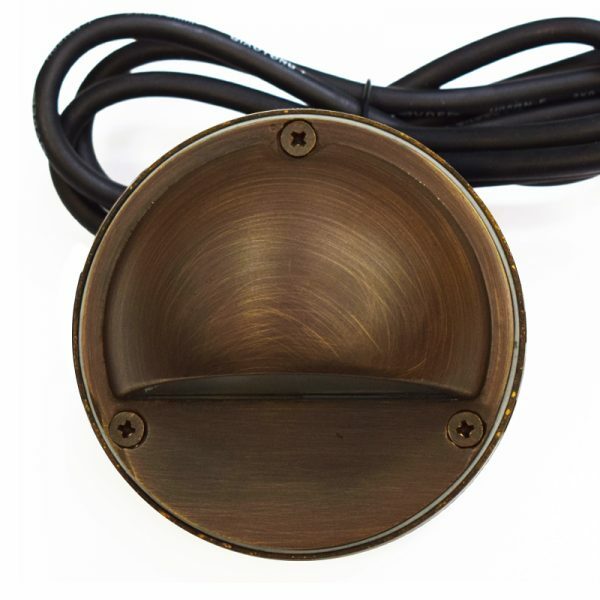 This Solid Brass Eyelite 12v Step Light with bronze finish is a smart 12v surface mount garden light. 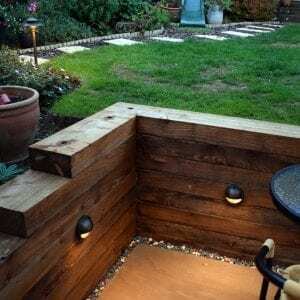 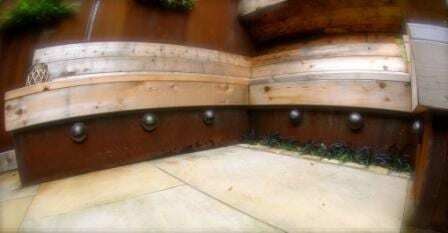 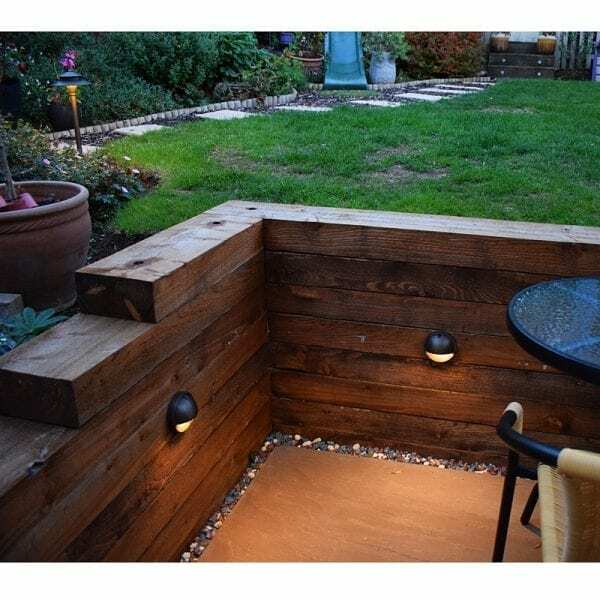 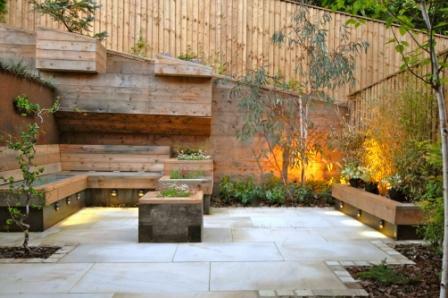 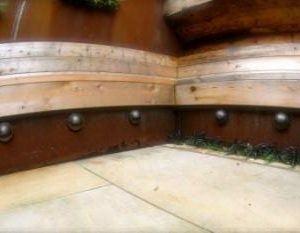 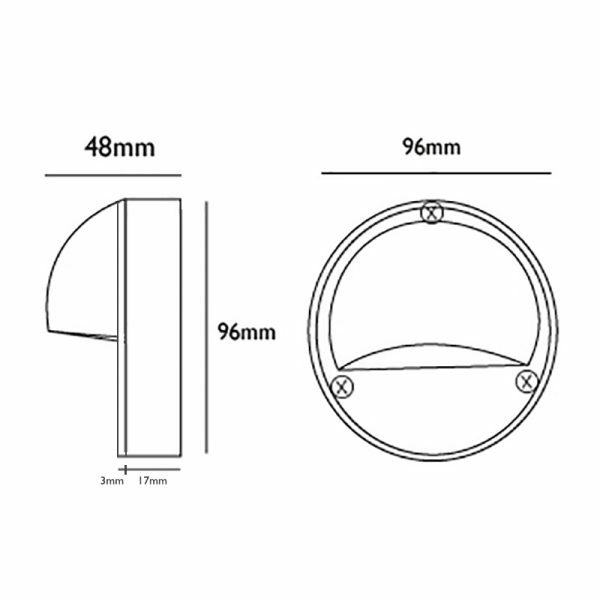 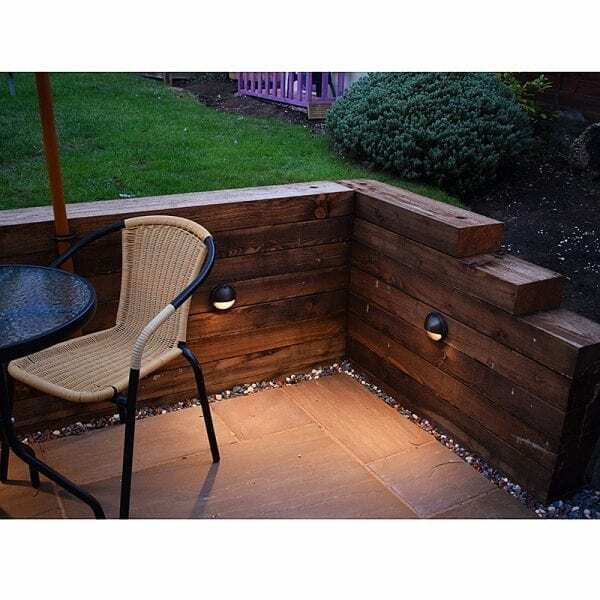 It’s ideal for lighting stepped areas, either mounted on walls next to steps, or on the steps themselves. 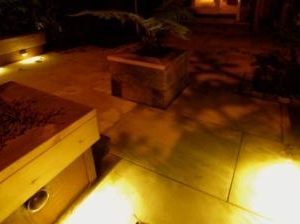 The ‘eye lid’ design results in all light shining downwards, without glare, which makes it perfect for the function of lighting steps. 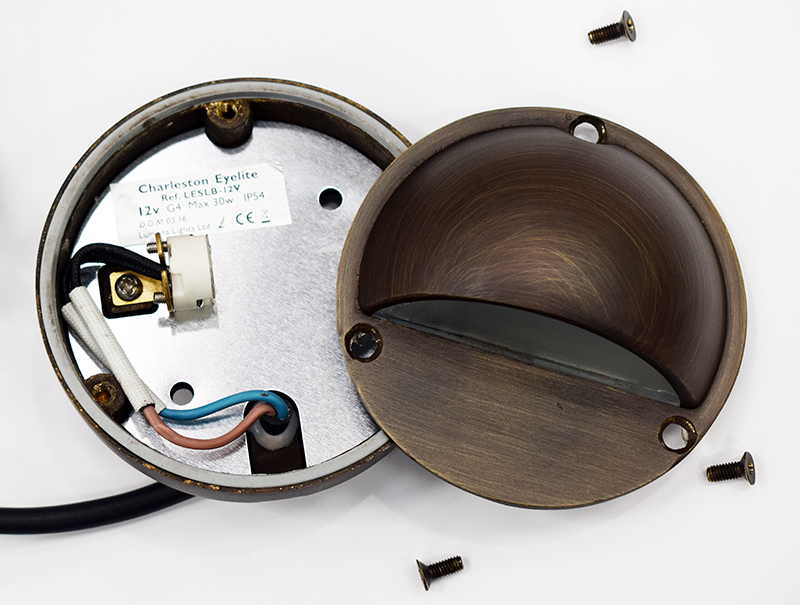 A mirrored reflector inside the step light ensures all light is emitted outwards. 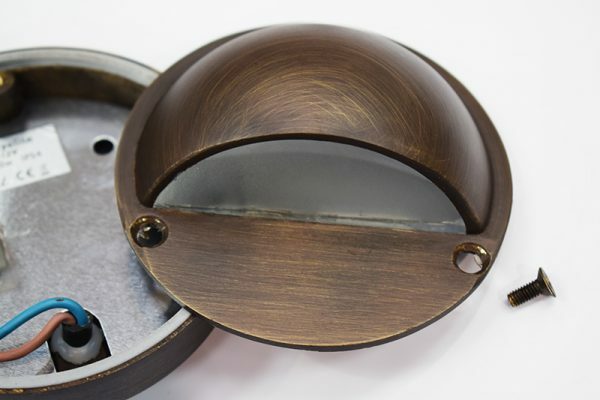 A frosted glass lens diffuses the light evenly. The Eyelite is both robust and stylish, with a high IP rating of IP54, and has 3 external screws; to firmly secure the front to the back. 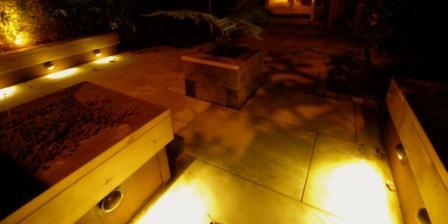 Like the Slatlite, this low voltage step light has a G4 fitting. 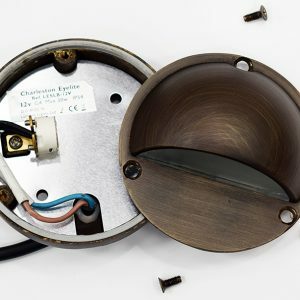 An LED G4 capsule is available as an optional extra. 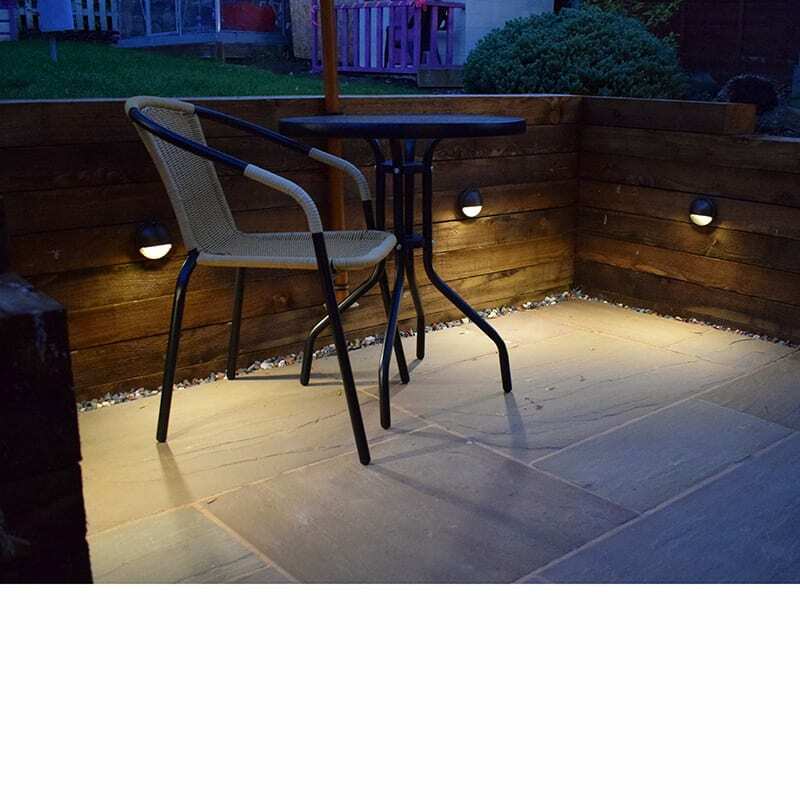 The bright 12 volt LED G4 in cool white, or warm white save more energy and have a longer life span than standard halogen G4s. Lumena G4 LED bulbs will work from a normal Halogen 12v A/C transformer so there is no need to buy a special LED “Driver”. 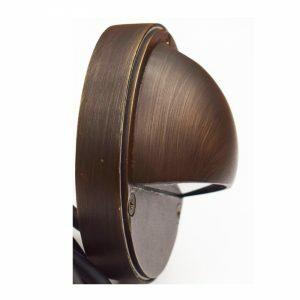 The Eyelite forms part of Lumena’s VERSA Plug & Play Range. For ease of installation, a 2 pin adaptor plugs directly into a Lumena Transformer, or any Versa connectors, requiring no wiring. If the adaptor is not required then this can simply be cut off and the wire stripped to create a normal connection via a junction box. 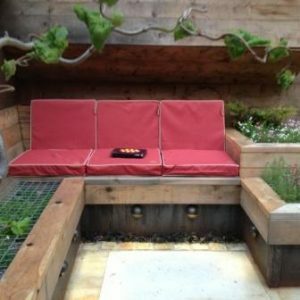 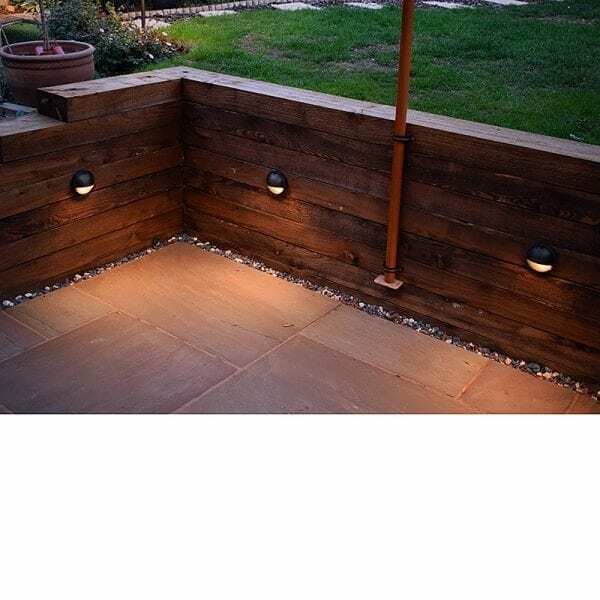 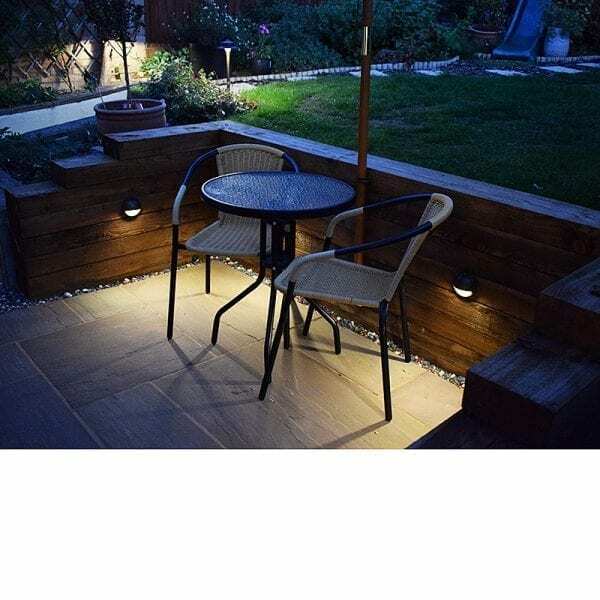 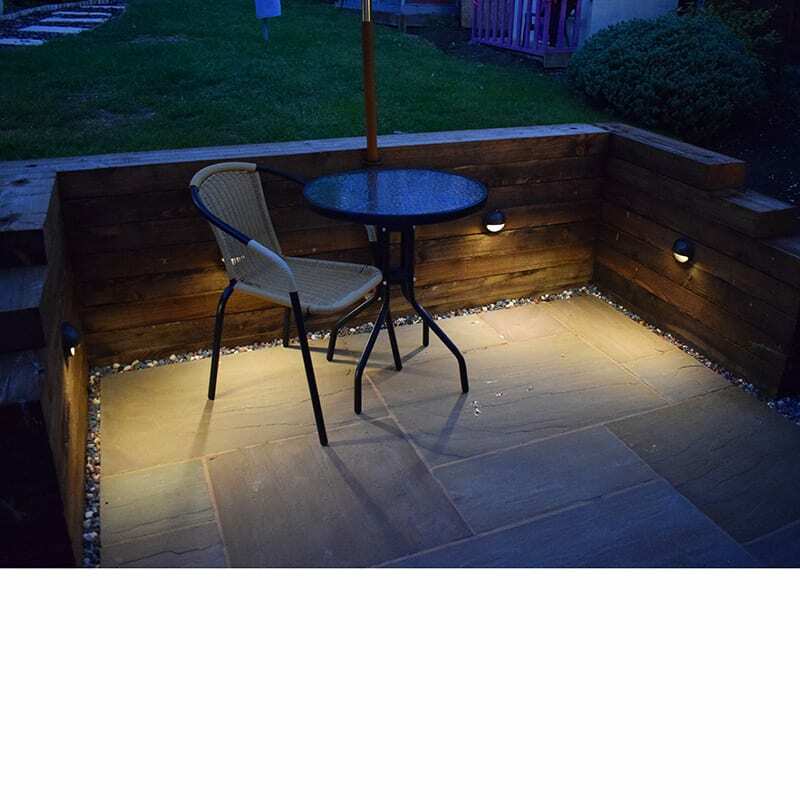 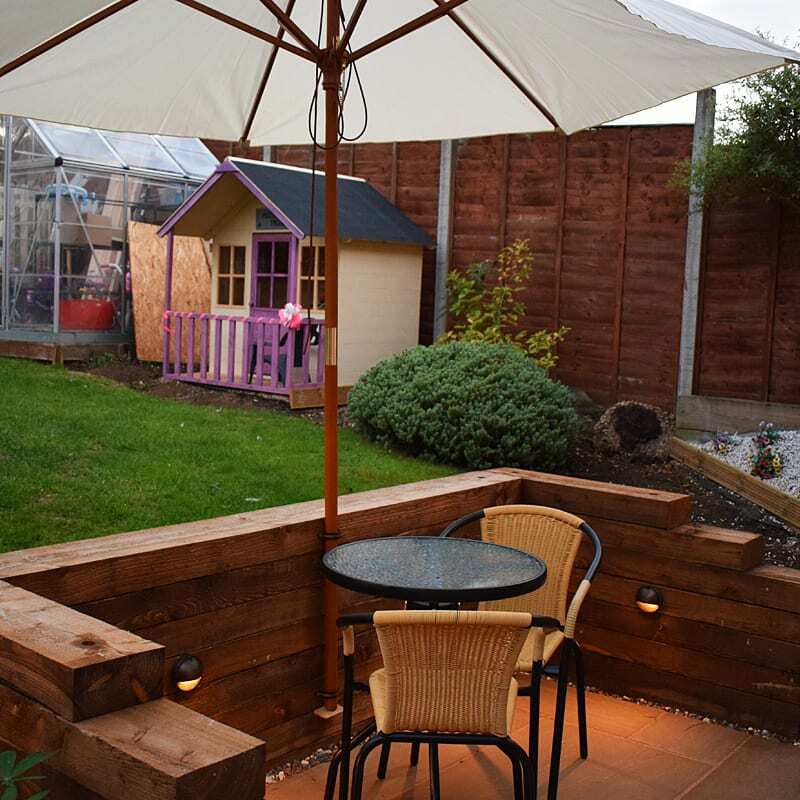 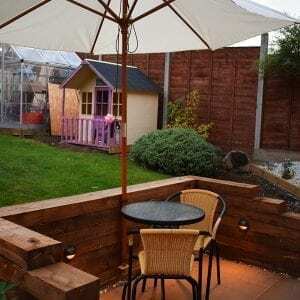 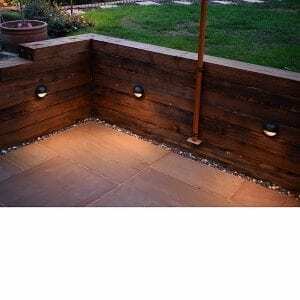 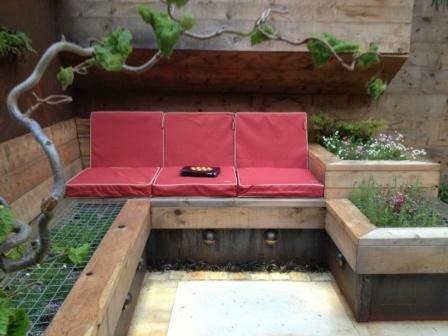 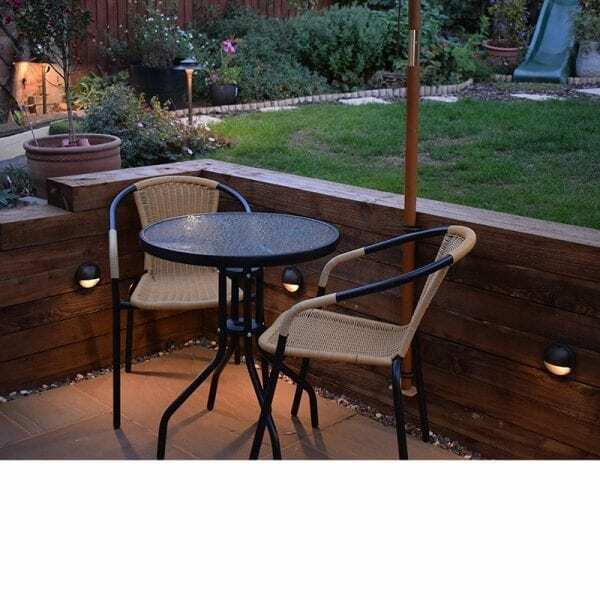 VERSA Plug & Play connectors are also compatible with other plug and play systems such as Techmar and Lighting for Gardens.